A coworker told me this morning... I was stunned. 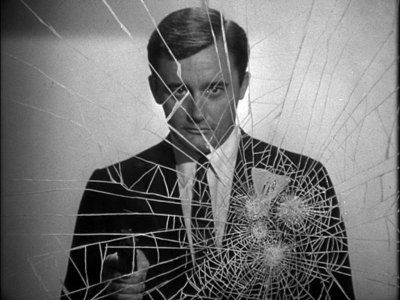 Vaughn had a lot of different roles over the years, but he'll always be Napoleon Solo to me. Frank Deford passed away earlier this week at the age of 78. Primarily known as a sportswriter (although he wrote and commented on many subjects and topics, including writing a novel taking place in both Japan and Hawaii which culminates in the attack on Pearl Harbor), he was incredibly talented. If there were a Mt. Rushmore of sportswriters, he would definitely be on it. He was the sportswriters' equivalent of Vin Scully--both had the ability to paint pictures with words and tell stories which were more than just a recounting of events. The articles he penned during his first tenure at Sports Illustrated from the 60's--80's are particular favorites of mine. A number of those articles were collected in a book entitled The World's Tallest Midget which was published in 1987. When I heard of his passing, I took out my copy and began rereading it. Not just great sportswriting but great writing period. He became nationally known when he joined Sports Illustrated in the early 60's. Later, he went on to write a string of comic novels which blended sports, culture, and society into a riotous, decidedly non-P.C. mix. But it was the hundreds of articles he wrote covering sports--mostly college football and golf--that he should be remembered for.